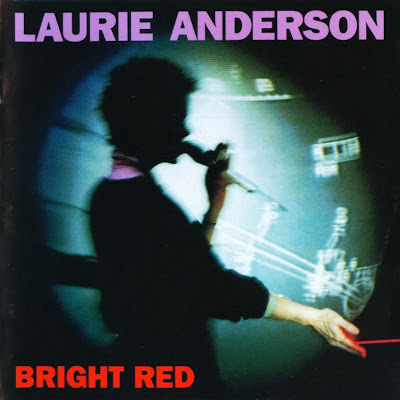 Bright Red is the title of performance artist Laurie Anderson's sixth album, released by Warner Bros. in 1994. The album continues the more pop-oriented direction Anderson launched with Strange Angels. Produced by Brian Eno (who also co-wrote several of the songs with Anderson), Bright Red is divided into two parts; the first, titled Bright Red, and the second part titled Tightrope. The song "The Puppet Motel" was also featured on an interactive CD-ROM titled Puppet Motel also released by Anderson in 1994. "Speak My Language", is a re-recording of a song Anderson previously performed on the soundtrack to the movie Faraway, So Close; and also featured in the 1995 film Fallen Angels. The song "Beautiful Pea Green Boat" has additional lyrics from the poem "The Owl and the Pussycat" by Edward Lear; in the album credits his name is misspelled "Edwin". Lou Reed duets with Anderson on the song "In Our Sleep" (and can be heard singing backup on many other songs).